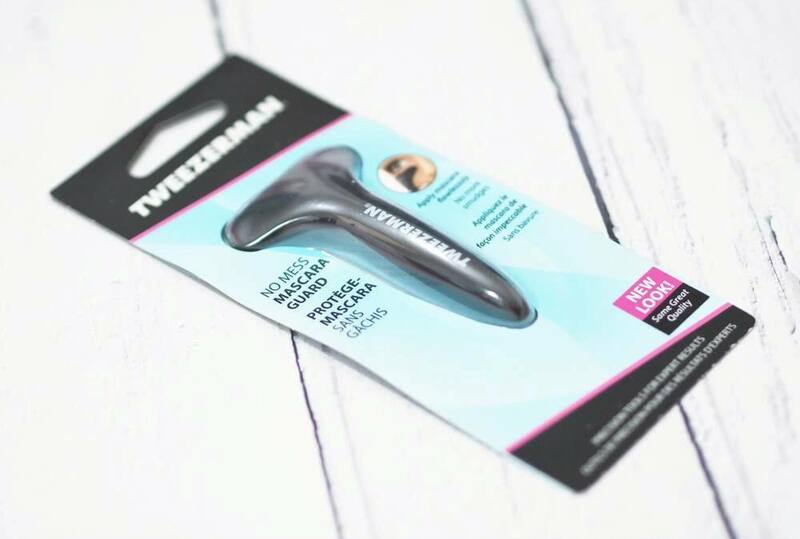 Tweezerman No Mess Mascara Guard Review - Does It Really Work?! My lashes are ridiculously short which makes applying mascara a nightmare. You know when you watch YouTube videos and you see the YouTuber mention how short their lashes are yet when they apply mascara, they’re actually not short at all? Well my lashes are very short and straight, and ever since I was diagnosed with psoriasis I’ve noticed my lashes becoming even shorter and more sparse which really effects my confidence. I used to wear false lashes religiously and they ruined my natural lashes so I now only wear false lashes for special occasions so I have to just make do with my pathetic lashes on a day to day basis. I like to use curling mascaras to try and give my lashes so lift but because they’re so short, applying mascara is extremely messy and I always have to go in with my DHC Olive Virgin Oil Swabs (olive oil coated cotton buds) to clean up the mess every time I apply mascara. When I spotted the Tweezerman No Mess Mascara Guard on Cult Beauty, it really appealed to me but I wasn’t sure if it would be effective?! “Apply mascara flawlessly! 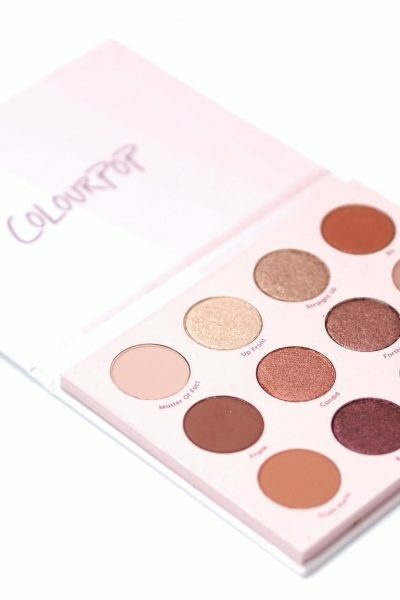 Designed to isolate the lash line and protect freshly applied shadow, powder or concealer around eyes. 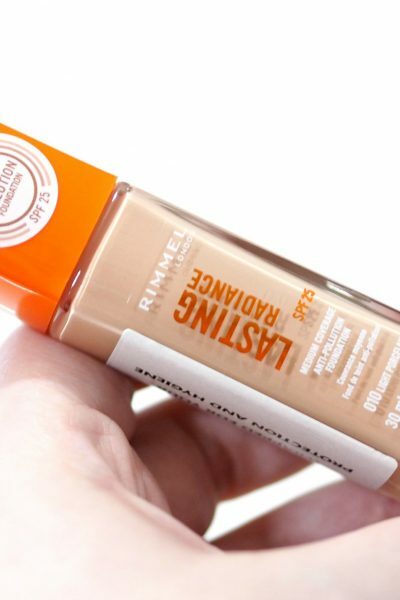 This smudge-proof makeup artist favorite is the secret to keeping mascara on your lashes and off your face. Place tool under lower lashes as mascara is applied. Next, place tool over upper lash line to shield eye makeup. While holding protector in place, brush mascara through upper lashes. I’ve never used a mascara guard before but the concept sounded genius and although £12 sounds like a lot, it’s something you can use forever as it’s not going to run out or stop working so to me it was definitely worth it. 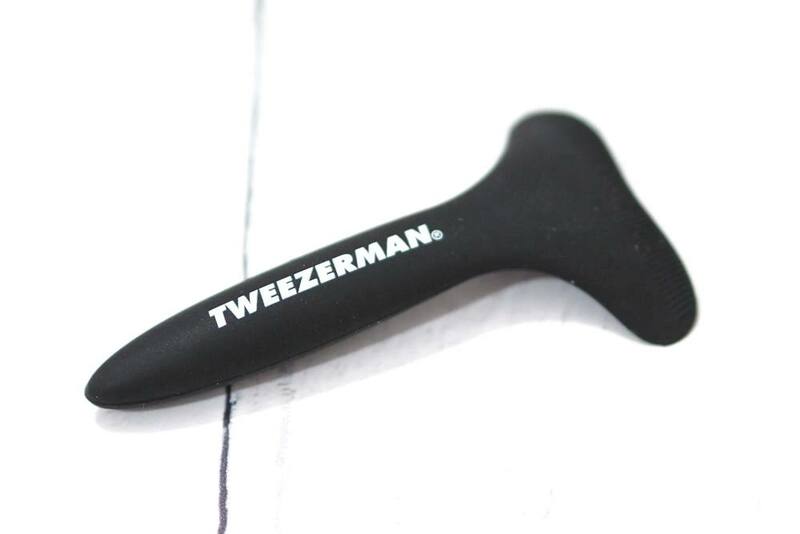 The Tweezerman No Mess Mascara Guard is black rubberised plastic ‘T’ shaped tool which is easy to hold thanks to the rubberised grip, and the part you place against your lashes is very thin so you can literally hold it underneath your tiny lower lashes. 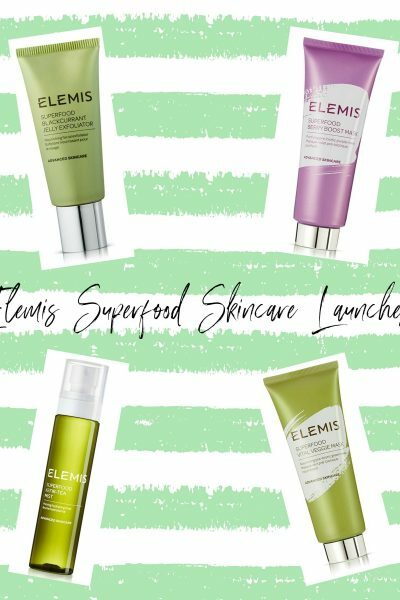 The slight curve to the guard works well for the natural curve of the eye and you simply apply your mascara to your lashes and when you’re finished, just clean the guard with some micellar water on a cotton pad. It’s very compact and weighs absolutely nothing so it’s fab for travel. I really like that the Tweezerman No Mess Mascara Guard has slightly raised grooves on the guard which actually help to prevent clumps within the lashes. 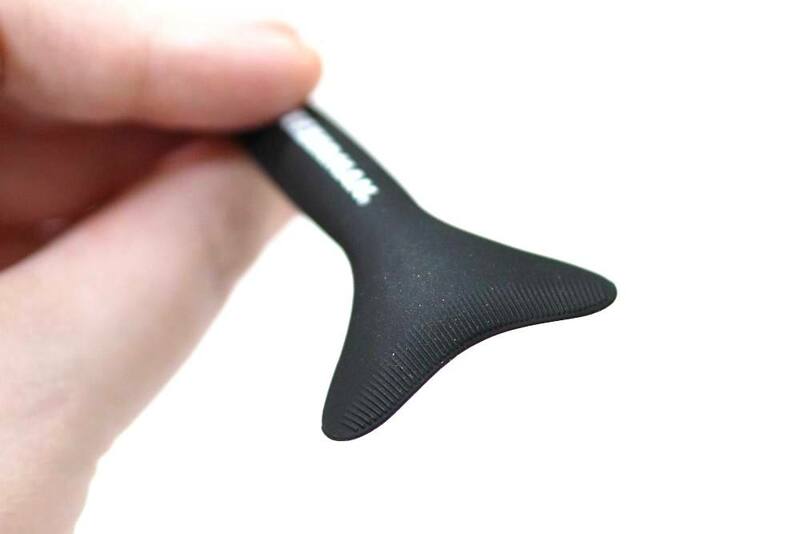 I couldn’t see these grooves within the stock images online, but they really are so helpful and you can get right to the roots of your lashes without any mascara transfer whatsoever. I find that my lashes look longer when using the Tweezerman No Mess Mascara Guard as I can apply my mascara from the roots as I don’t have to worry about smudging my mascara all over my eyelids. I’ve always had to apply my mascara first and then my eyeshadow second with a final coat of mascara to cover any eyeshadow fallout on my lashes as mascara application was always so messy but now I don’t have to. I know the Tweezerman No Mess Mascara Guard won’t be for everyone, but if like me you have genuinely short lashes and applying mascara is a nightmare due to smudging or transfer I really do think this will be £12 very well spent as it’s made such a difference to my makeup routine.